← Places I go, Buildings I see.. There is something so inspiring in a French Baguette. I was wandering through my kitchen trying to find something to cook for lunch, when my eyes suddenly caught sight of a lonesome French Baguette lying delicately on my pantry shelf. So… I decided to have Bruschetta. 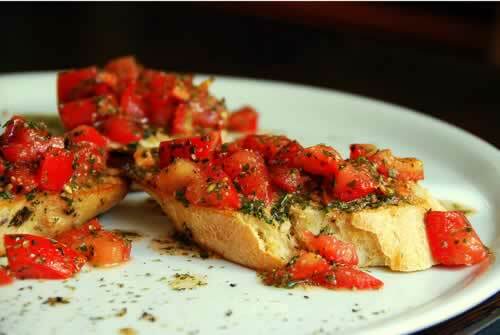 Not just any-other-type of Bruschetta, but Grape Tomato and Garlic Bruschetta. yum. yum. yum. 2. Once all the Bruschetta is mixed together, stick it in the fridge. 5. 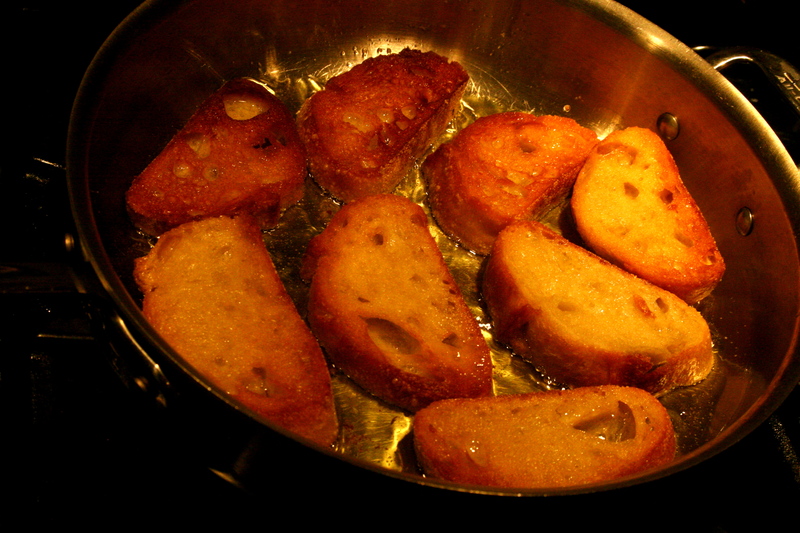 The bread should be sizzling in the hot oil for roughly 4 minutes before flipping. 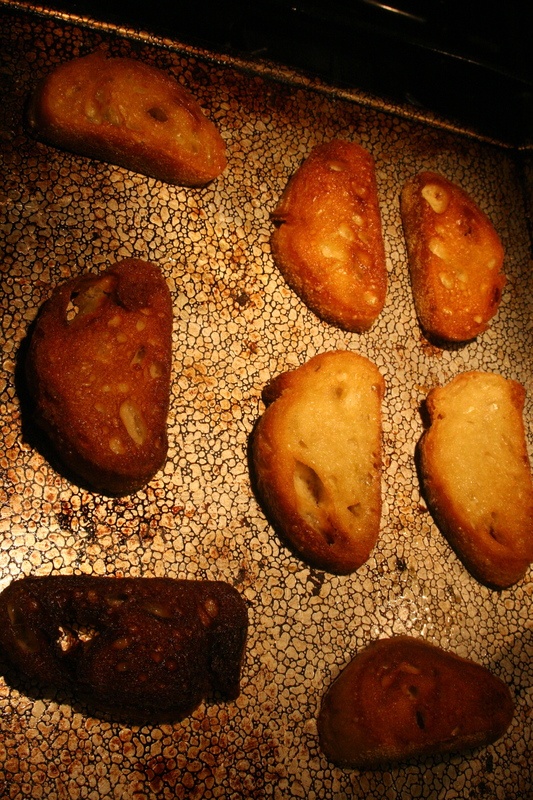 You want both sides of the bread to soak in the oil and get a golden-brown-crispy texture. 8. 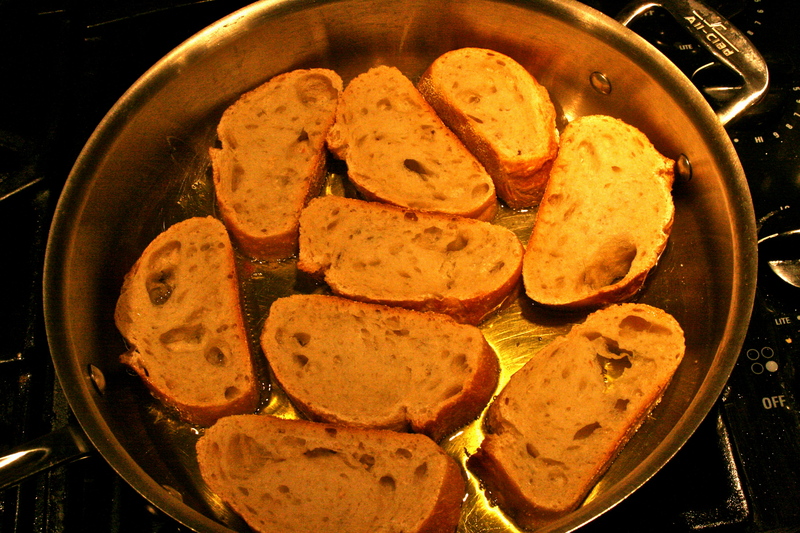 Place the bread-topped-with-bruschetta-and-parmesan-cheese, in the broiler for a couple minutes. You don’t want to burn the bread, but you want the Bruschetta to warm up in the oven. 8. Voila! You now have beautiful Bruschetta. 9. Bruschetta goes great with an Italian Salad with Balsamic Dressing, or even some grilled asparagus and seasoned beets. 10. Anyways. 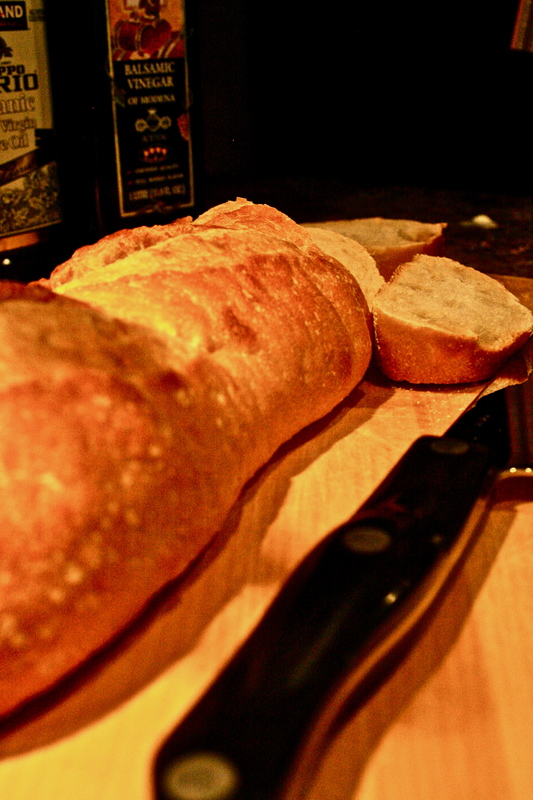 Thank you, French Baguette, for your flavorful inspiration. Someday, I want to wake up in France and walk down the street wearing a flowy skirt and sunglasses and buy a fresh loaf of bread at the corner bakery. Oh, le pain.